Using NxFilter, one can block not only the Internet traffic to specific webpages or domains, but also programs that use DNS. NxFilter is a useful software that was created to help administrators track HTTP traffic on a network. NxFilter is a comprehensive software application for monitoring and examining the HTTP traffic in your network, as well as for restricting access to websites. NxFilter is a DNS filtering software controlling user activity on Internet. 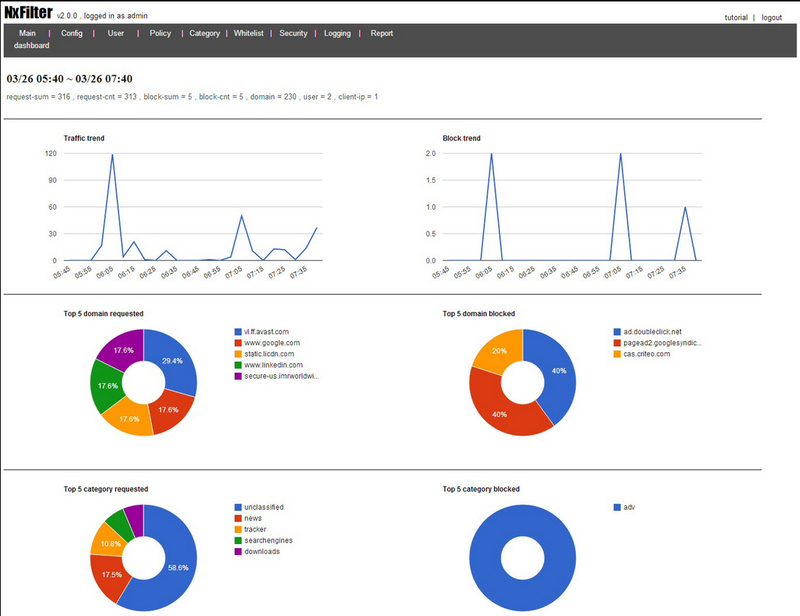 You can monitor Internet usage in your network and block user request for websites with NxFilter.